Albion have converted Tim Krul's season-long loan from Newcastle into a permanent one-year deal. He made his Brighton debut in last night's Carabao Cup defeat at Bournemouth. The deal means Krul ends a 12-year association with Newcastle, after arriving from Dutch side ADO Den Haag in the summer of 2005. 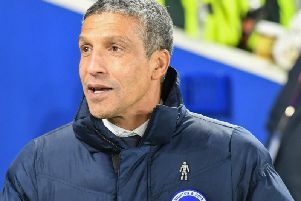 Albion are limited to a maximum of two loan signings from fellow Premier League clubs and currently have Izzy Brown on a season-long loan from Chelsea.